September marks the beginning of fall, football, and apple picking. 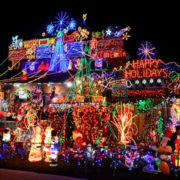 The savvy homeowner also recognizes that this is the best time to book holiday lighting with a reputable lighting design and installation expert. 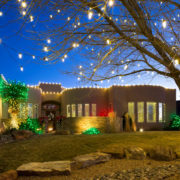 Many homeowners have year-to-year contracts with their holiday lighting installers. These customers are already on the schedule, so this limits the number of decorating slots available to new customers. Wait too long, the pros may not be able to to install your lights until mid-December. If you delay planning your holiday lighting until after Halloween, you run the risk of not being able to find available slots to get the full value of a beautiful lighting design. #2: Plan Early. Save Money. In order to encourage homeowners to let decorators maximize their installation time slots, many provide incentives for allowing flexible installation schedules. For example, homeowners can save 10% off their holiday lighting installation from Christmas Decor by Arvidson when they accept a Flexible Installation Window which allows us to hang the lights anytime between September 15 – November 15. 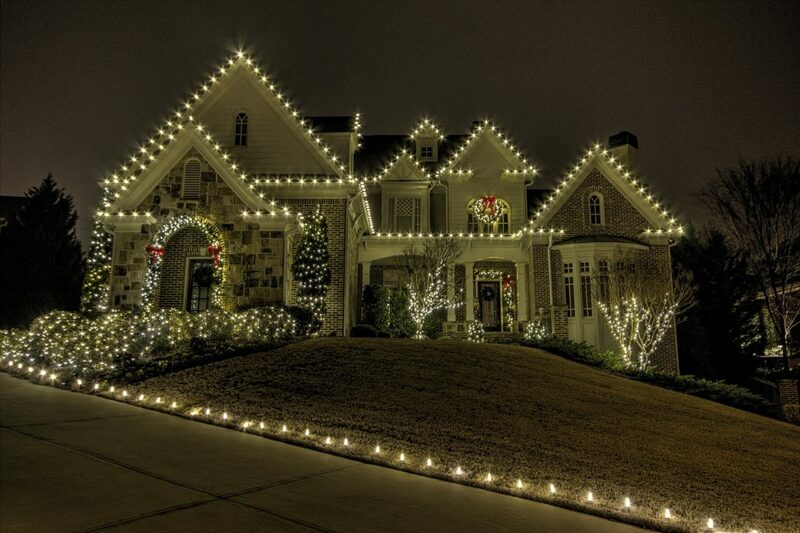 This way, we can place your lights, and you can turn them on when you’re ready to spread holiday cheer! Planning ahead helps remove the added stress that can sometimes take over during the rush of the season. When you schedule your holiday lighting in September, it’s one less thing to worry about in November and December. Save yourself a headache during these busy months where time disappears more quickly. Waiting until November to call an installer could end in a disappointing experience if they have already filled their installation slots. Who wants to spend time trying to reach installers during the busiest time of the year? It can lead to frustration for everyone. 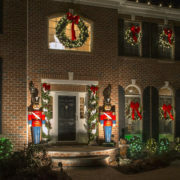 Christmas Decor by Arvidson is the premier holiday event and Christmas decorating company in the Crystal Lake, St. Charles and Palatine, Illinois areas. 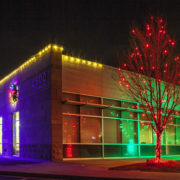 Christmas Decor by Arvidson professional Christmas light installers are well recognized as the “go-to” holiday decorating service experts. The turn-key service includes design, installation, maintenance, and storage. 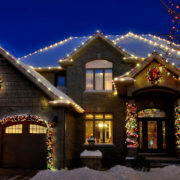 To inquire about a holiday lighting design for your home, give us a call at (815)459-0660. Or, you may complete the form below and someone will be in touch with you shortly. First-time customers also receive $75 off their first installation. Don’t wait till it’s too late! Contact us today!